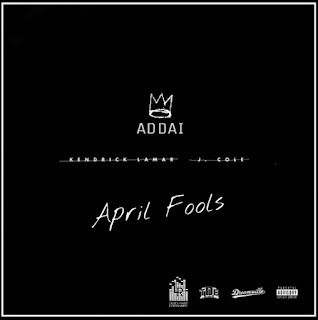 Fresh Friday's: JAO "April Fools"
What a time to be alive is a statement Independent Artist and Levels Ready Entertainments own JAO lives by. On July 17th 2016, JAO released his second mixtape entitled "Something Is Killing JAO 2" completing a huge chapter in his music career. Inspired by Kendrick Lamar’s "Alright" and J. Coles "Tale of 2 Cities" songs, April Fools which was shot and directed by Zahir Zahir, tells a story of black pride and embraces JAO’s personal life and his early childhood and teenage neighborhoods. Those who follow JAO or even knows him personally, knows he's a man of few words, yet his presence is one of many. This video and SKJ 2 the mixtape exposes emotions and experiences he has gone through while writing completing another decade of life turning 30 January 26 of this year. Don't take anything you hear or see from JAO as a marketing tool. Unlike most who have been capitalizing from the recent current events, JAO has been "god body" all along, on the journey of equality for his people way before picking up the pen and stepping in front of the mic.